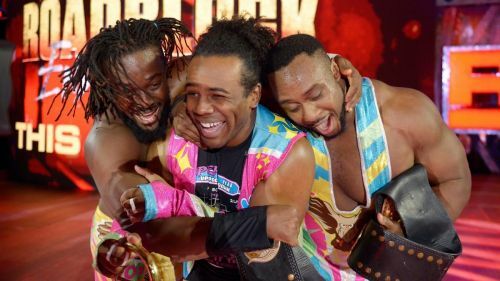 What is next for Xavier Woods? New Day is one of the most dominant tag teams in WWE and has won the title five times (two RAW and three SmackDown tag team title reigns). They are the record holders for the longest tag team title reign of 483 days in WWE. Nothing lasts forever, and Kofi going solo marks the beginning of the end for the New Day. Earlier in the week, it was reported that Big E is out of action with an injury and there is no confirmation on his return date. This leaves Xavier alone with Kofi, presumably concentrating on his singles run. Therefore, here are 5 potential directions for Xavier Woods moving forward. Buddy Murphy lost the Cruiserweight title to Tony Nese at WrestleMania 35 after a lengthy reign as champion. He is likely to switch brands as he has nothing left to achieve on the purple brand. This will leave a huge gap on the 205 Live roster as he carried the brand on his shoulders. Xavier Woods meets the requirements (weighing in at 205 pounds) for the purple brand and can easily make the cut. He has the required mic and in-ring skills to carry the brand forward. Moreover, he has the charisma and the star power to bring eyes on the otherwise underrated roster. This is the most likely option for Xavier Woods. The hurdles against the newly crowned WWE champion are only going to multiply, and he requires an ally to help push through the challenges that lie ahead. Since Big E is out injured, it becomes all the more important for Xavier Woods to be in Kofi's corner. Xavier Woods could even be used to protect Kofi, by taking pins in tag matches, thus preserving Kofi's reputation as a strong champion during the latter's WWE title reign.